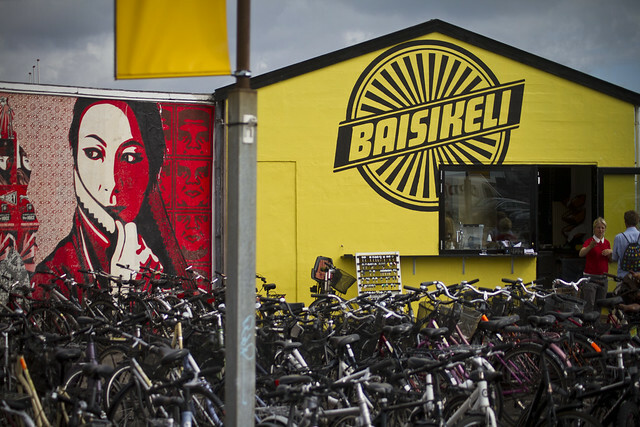 If you're in Copenhagen tomorrow, Baisikeli is celebrating the opening of their new rental shop / workshop / bicycle café in the Vesterbro neighbourhood. 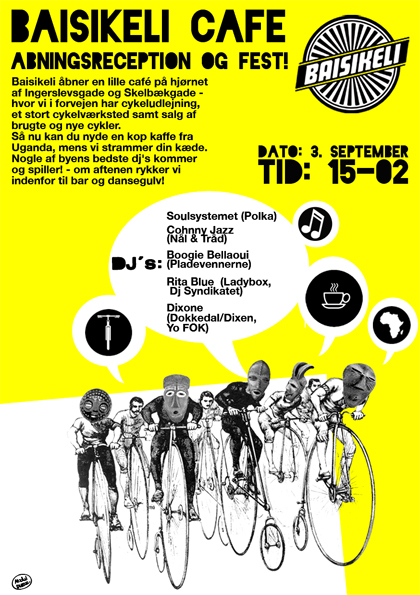 Normally a phenomenon in emerging bicycle cultures, this will herald the opening of Copenhagen's first "bicycle café". Come by for a cup of Ugandan coffee and get your chain tightened while you listen to some cool beats from some of the city's best DJs. And, of course, stick around until the party moves indoors and the dance floor heats up. 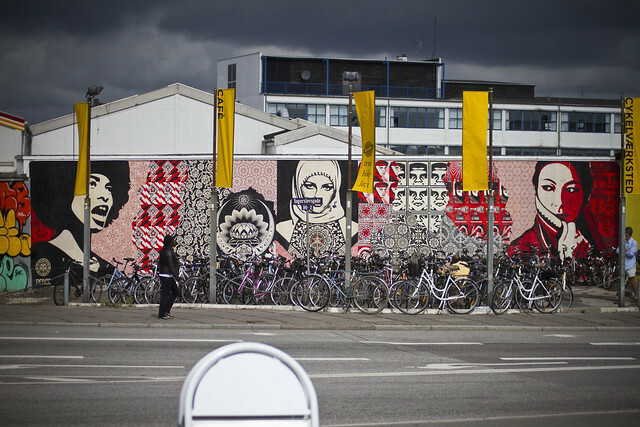 More on Baisikeli from Copenhagenize. 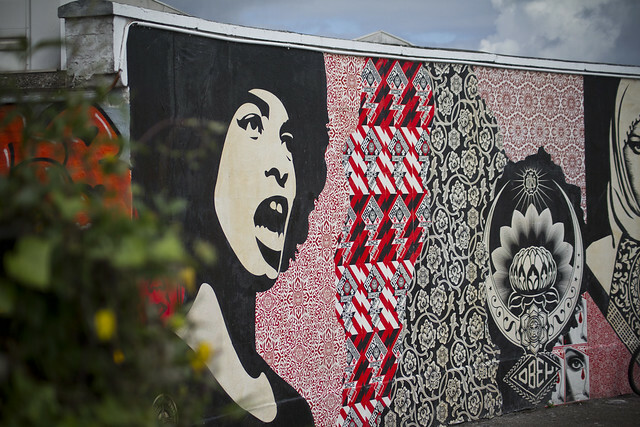 While you're there, you can check out the latest Shepard Fairey work on the outdoor wall. Baisikeli let the American artist go crazy for a day on their wall and the result is fantastic.